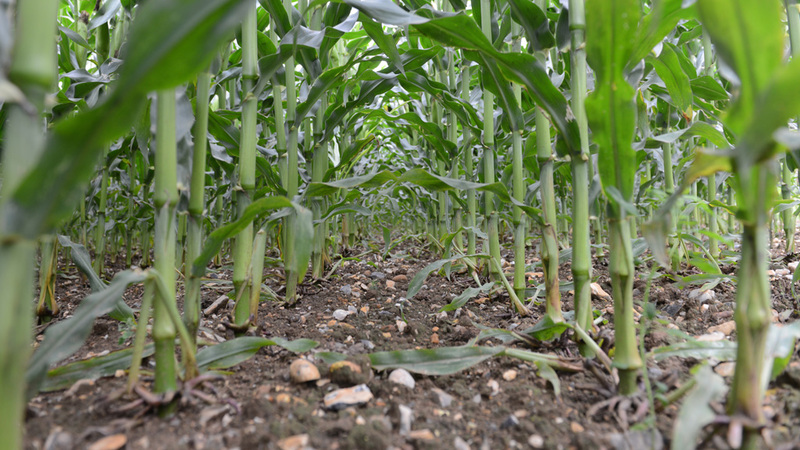 Early weed control in maize crops can significantly enhance silage yields and feed quality. Maize makes up a crucially important part of the high energy diet for 1000 cows of Dorset farmers, David Foot Ltd, near Dorchester. The 2200 ha mixed farm grows nearly 500 ha of the crop a year. 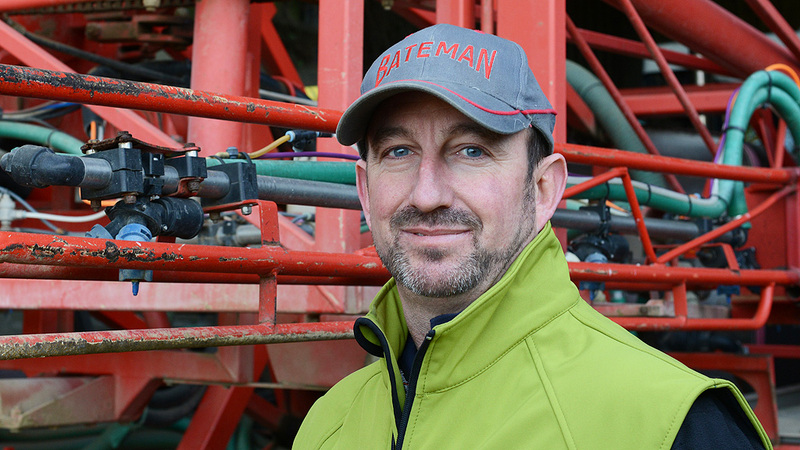 For the farm’s agronomy manager and sprayer operator, Iain Robertson (below), there’s a real spring challenge to cover timely herbicide applications across the maize area, and the demands of over 800 ha of combinable cropping for fungicide and grass-weed herbicide treatments. “The early days are definitely the most important; if maize plants don’t get growing quickly, the crop just never seems to catch up,” he pointed out. Iain advocated the use of a pre-emergence herbicide had proven a useful treatment to buy time and flexibility in the herbicide programme, particularly on the more difficult fields where they know there is likely to be a greater weed challenge. Typically around a quarter of the farm’s maize acreage would receive a pre-em treatment. “With some fields covered with the pre-em treatment, we can focus attention on early post-emergence treatments tailored to the emerging weed species in other fields,” he added. 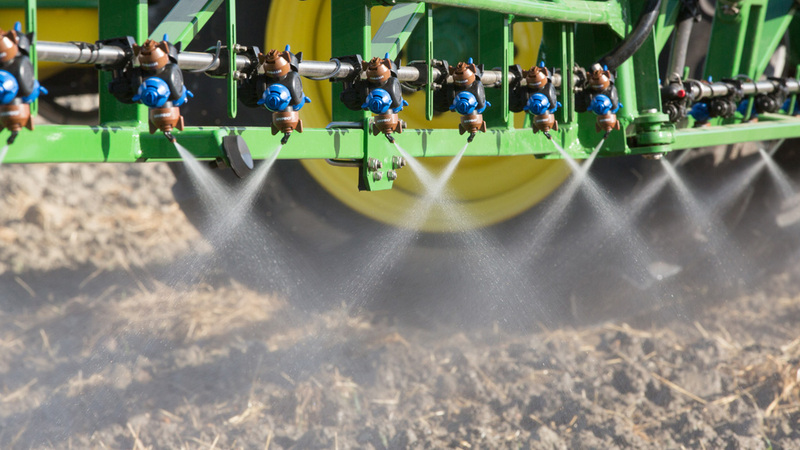 His standard set up for both pre and post-emergence maize herbicide applications is to use a Syngenta 3D Nozzle to apply at 100 l/ha water volume, operating at around 12 km/hr. Boom height, held at 50cm, is also seen as critical. “The Syngenta 3D Nozzle has made another huge step in nozzle technology; it’s now my nozzle of choice for all the maize herbicide treatments, and most other applications,” he said. Alternating the nozzle direction forward and backward along the sprayer boom gives better application on the soil surface and particularly all-round target weeds between rows of growing maize. Iain highlighted that seedbed preparation does have a significant impact on weed control - firstly for a level surface that helps to maintain boom stability and allow faster spraying speed, and secondly with the greater efficacy from residual herbicides with a finer tilth finish. The farm uses three establishment techniques, which each generate specific weed issues and herbicide strategies. The first crops are ploughed, cultivated and drilled under film; with the bulk by either min-till and sown with a Horsch drill, or ploughed cultivated and drilled.